These “FRAGILE” self adhesive labels include a graphic of a broken wineglass, printed red on white, sending out the clear need for careful handling during shipping or storage. 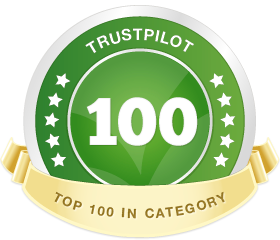 The “fragile” stickers are durable and internationally recognised, so are ideal for export purposes. Our pre printed labels stick well on all shapes and types of packaging: cardboard, stretch film, plastic, polythene, wood and metal as well as directly on glass. Produced in vivid non-fade high-resolution colour, the “fragile” self adhesive labels come on a roll so can be applied conveniently with a label dispenser as required. Our “fragile” self adhesive labels come in rolls of 500. They measure 79mm wide x 108mm high and are printed in vivid red on a white background. 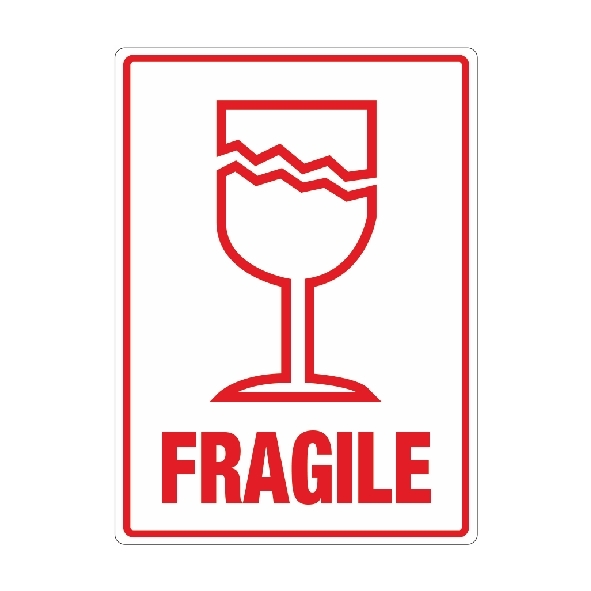 The striking design consists of a broken wineglass symbol above the warning text FRAGILE – a clear indication to take care of the packages they are stuck on. They save you having to mark up fragile goods by hand and also save time as they can be applied with a dispenser. Our convenient peel and stick mailing labels are made of tough paper backed by permanent adhesive. These “fragile” self adhesive labels are non-fade.